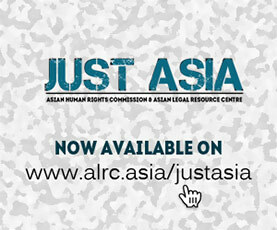 The Asian Human Rights Commission (AHRC) has received information from Youth’s Forum for Protection of Human Rights (YFPHR) regarding the indiscriminate firing upon civilians by the security forces in Tripura. The citizens were participating in a peaceful assembly against the Citizenship Amendment Bill, 2016 on 8 January 2019, when police opened fire without any warning. Five protestors were hit with bullets and are now in hospital. On 8 January 2019, the North East Students’ Organisation (NESO) had called for a total shut down across all the seven states in the North Eastern region of India, to protest against the Citizenship Amendment Bill, 2016. This was the date the Bill was to be presented in parliament, and has now been passed. Despite strong opposition from almost all the ethnic communities and indigenous people in the North East, the Bill has been passed. The Citizenship Amendment Bill, 2016 will grant citizenship to persons belonging to minority communities namely Hindus, Sikhs, Buddhists, Jains, Parsis and Christians from Afghanistan, Pakistan and Bangladesh. This could alter the demography of the region and even destabilize it. Participating in the January 8 shut down, some indigenous youths came out on the street and assembled peacefully at the Madhab Bari area. There were a large number of police personnel deployed in the area to control any untoward incidents during the peaceful protest. While the protestors have gathered on the street of Madhab Bari area, two to three police vans arrived and started firing indiscriminately toward the protestors without any provocation. The police did not even issue any warning before opening fire to disperse the gathering. They did not use batons, water cannons or any other means; they took recourse to direct firing. In the firing, one youth named Mr. Sumit Debbarma was hit by two bullets which passed through his lungs, and his condition is now critical. 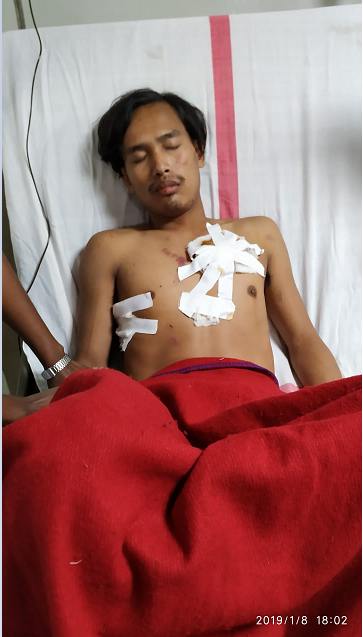 Another protestor named Mr. Lalit Debbarma was also hit by two bullets on his chest, and he too is in a critical condition. Mr. Shakar Debbarma was hit by a bullet on his hips, and the bullet is still stuck inside his body. Mr. Pahar Debbarma and Mr. Ravi Debbarma were hit by bullets in their legs. All five of them are still under observation at the GB Hospital, Agartala. 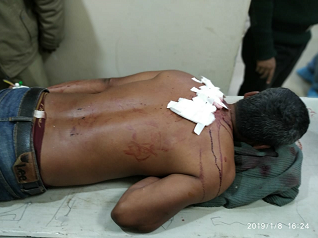 Further, while the aforementioned injured persons were being taken to the Hospital in Agartala, some miscreants supporting the Bill attacked their vehicle. The attackers left five more protestors injured, who are now admitted in Kherengbar Autonomous Council Hospital. Ironically, this attack took place right in front of the police who were deployed to control such clashes, but the police did nothing to stop the attack. Rather, the police detained a journalist recording the incident, and confiscated his phone and memory card. Since late evening on the same day, the Internet service and SMS have been shut down in Tripura. The AHRC calls for an immediate inquiry to investigate the firing and prosecute and punish the guilty officers. The authorities must also provide medical assistance to the victims. The AHRC is writing a separate letter to the Special Rapporteur on the rights of the indigenous peoples seeking her intervention. I am writing to voice my deep concern regarding the police firing on peaceful protestors opposing the Citizenship Amendment Bill in Madhab Bari, Agartala in Tripura on 8 January 2019. The AHRC urges you to take note of the situation urgently, and order an immediate inquiry to investigate the firing, and prosecute and punish the guilty officers. The AHRC also urges you to ask the authorities to provide the necessary medical assistance to the victims.